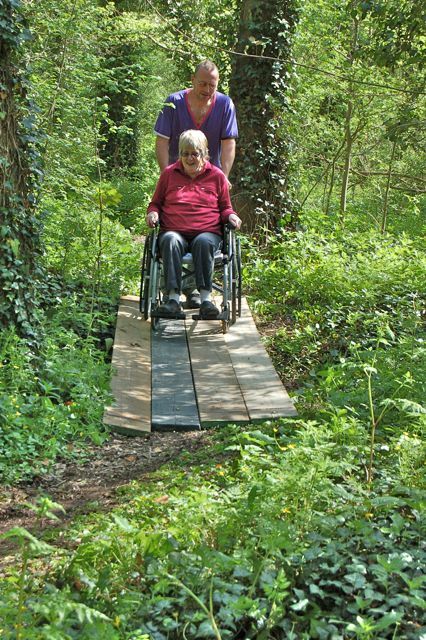 Drayton Woods has wheel chair accessible compost toilet and woodland paths, so we are able to welcome children, young people and adults of all abilities. 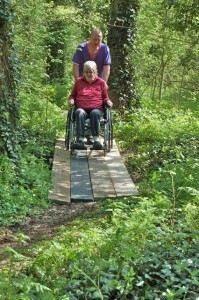 The level woodland paths offer an unique experience for wheelchair users allowing them access to the peaceful and therapeutic atmosphere of the woodland. 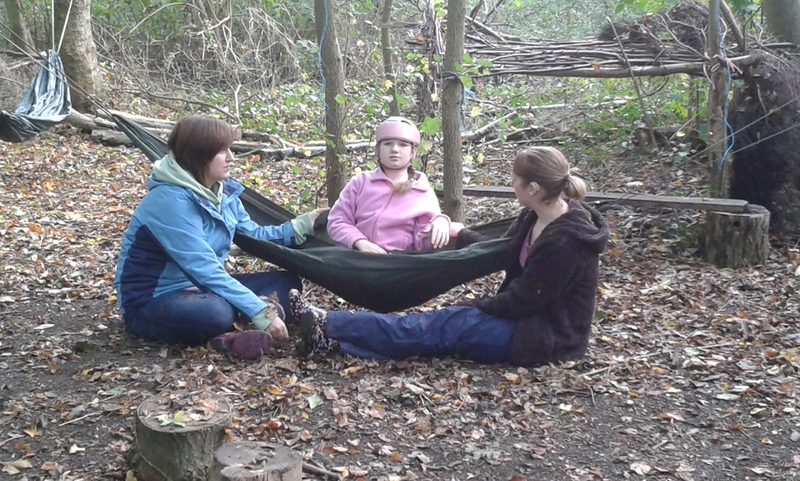 We are currently running an Inclusive programme on Fridays for adults with disabilities and additional needs, where activities are planned according to the interests and needs of participants. We are fortunate to be in receipt of a small amount of funding from the TrueMark Trust . This subsidises the cost of running the programme and allows us to reduce the charge we ask from participants. 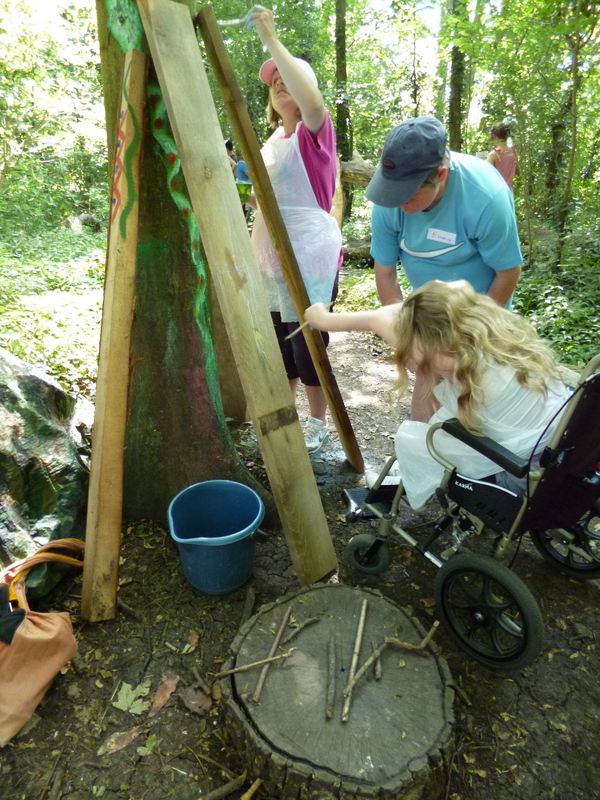 We have been receiving support through the Somerset County Council Short Breaks Scheme to run holiday activities for children and young people with disabilities since 2009. 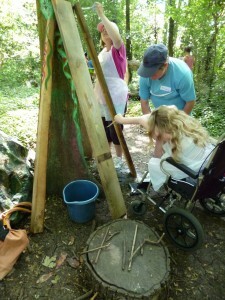 See our Events page for the next Inclusive Woodland Adventure! 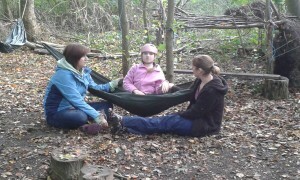 The 3 acre woodland is securely fenced, offering the option for children of ‘free roaming’ amongst the trees and along the varied paths, while staying within safe parameters.